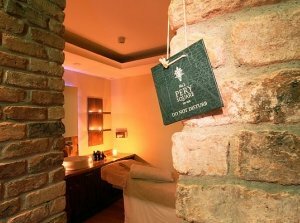 Now’s your chance to win a Day Spa Escape at a luxurious 4-star boutique hotel, full of style and in the heart of Limerick city! No. 1 Pery Square is a Georgian townhouse thoughtfully restored to 4-star standard. The 20 spacious rooms’ vast sash windows look out at views of the terrace and garden or the People’s Park and make a great escape from Limerick city life, at just a 5 minute walk to the city centre. Start 2019 as you mean to go on - relaxed, healthy and happy! The Spa No.1 is located in the tastefully restored basement vaults, retaining their exposed brick and original stonework, and making a quiet, soothing backdrop for a holistic spa experience. You can also journey into the private spa suite, ideal for couples. For some company, we’re including a complimentary 2hr pass to the Thermal Suite for a second person!